Finding a job isn’t a walk in the park. It takes a lot of courage to hit that send button to send your resume; confidence to ace the interview; bravery to face the inevitable rejections, and that extra push to get up and repeat the process all over again. What more in a different country? It may be daunting for others, or even more for some, but the fresh start it offers outweighs the apprehensions and fears one feels. Added the fact that Vietnam is a welcoming and developing country – it is no wonder why more and more expats choose his country to pursue their own careers. 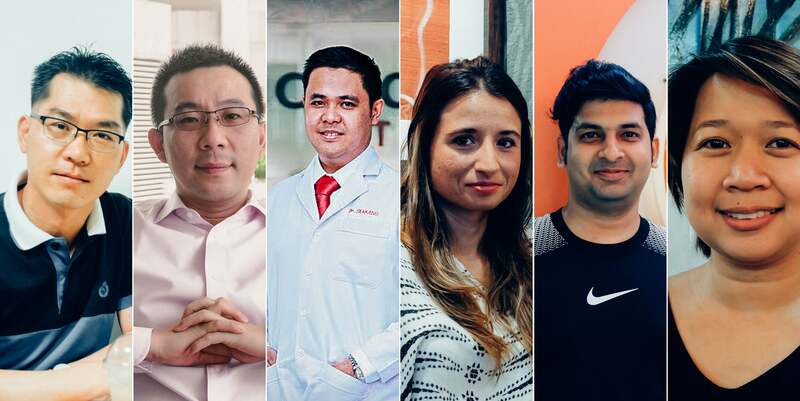 We’ve talked with 8 expats from different career backgrounds like education, medicine, art, freelance, banking, and manufacturing to know their reasons and decisions to work here in Vietnam, specifically, Saigon. 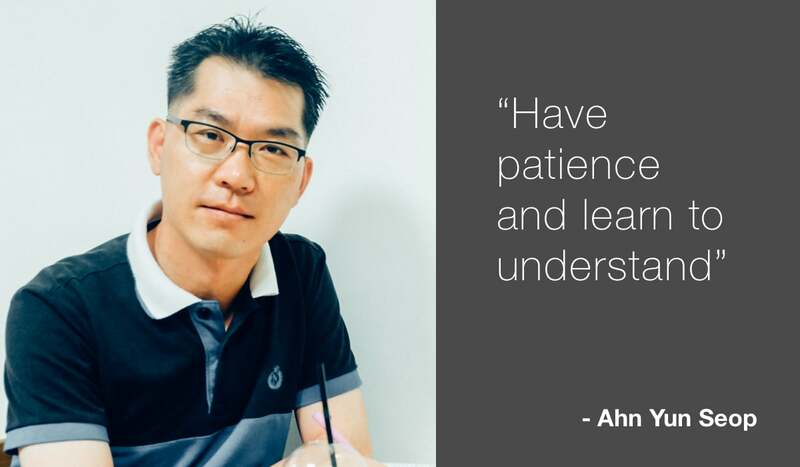 Mr. Anh has been working in Vietnam for about three years; working in another country was made possible by his company. He has experienced working in both Hanoi and Ho Chi Minh. Every day he checks the quality of their products and makes sure that they are in their prime shape. He describes working in Vietnam as having more freedom. Firstly, my previous company started a business in Hanoi. I was assigned by my company in Hanoi and then, Ho Chi Minh. I really wanted to work in Vietnam. I wanted a different environment. What was your biggest adjustment? Not really an adjustment, but a big change. My relatives and many of my friends are in Korea, but now in Vietnam, it’s only me and my family. I think that because I have more free time, I developed a better relationship with them. What do you miss about working in your home country? My friends. In Korea, every week we meet and call each other. But here we just use social network to communicate. We can’t meet, we can only send messages and pictures. What is the best thing about working in Vietnam? / What do you like about working in Vietnam? I have more freedom – I can do whatever I like. In the past, every day I have to confirm first (before taking action), but here I can make and do my own decisions. I have time for myself. I can read books, listen to music, and walk around by myself. I also like the weather. Tip/s: Be more understanding. There will be differences, so try to understand whoever you’re working with. 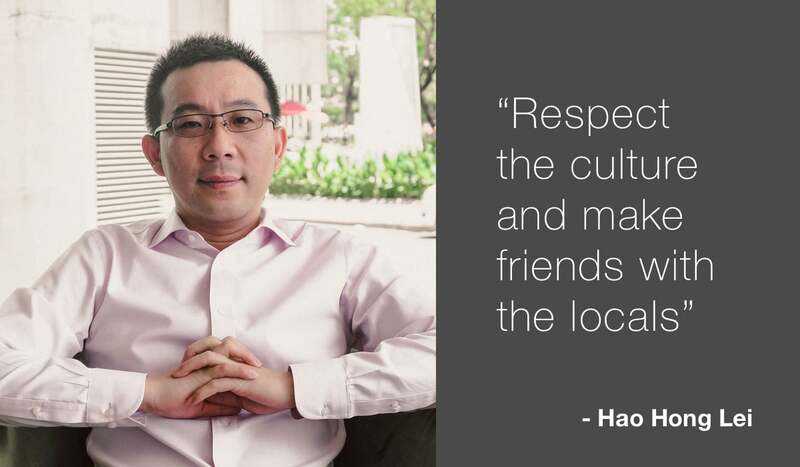 Before, Mr. Hao had no idea about working in Vietnam. After being in Vietnam for about seven years, his idea has now blossomed into something more than what he expected. He now describes his life and work experience here as something that he loves. I wanted a change in working environment and enrich my experience, which Vietnam offered to me. I was able to improve my skills and have more free time at the same time. No, it wasn’t what I planned. But an opportunity presented itself and I grabbed my chance. Not really big, but communicating was one of the things I had to adjust to. I miss my family. I miss my mother, my sibling, my son, and my wife. Vietnam is a developing country. There are good policies, good environment, and good tax policy. There are many opportunities for me to enrich my work experience. Here, I was able to improve my management and communication (with my clients and staff) skills here. I also have more free time; I feel very comfortable. Tip/s: Respect the culture, and make friends with the locals. Don’t compare your experiences in this country to other developed countries. Always look on the good things. Learn Vietnamese in order to belong to the society. Hyunkyoung was born in Korea but lived in the Philippines for about eight years. Living there by herself for quite a long time allowed her to be independent and to treat the Philippines as her home. The transition to Vietnam wasn’t planned, but safe to say that she has enjoyed and still is enjoying it. Why work in Vietnam? Was it your plan? I didn’t plan to work in Vietnam. It was supposedly just a two-week vacation, but I found a job here so I stayed. Language barrier. When I first came here, I tried communicating but it was difficult. I try speaking in Vietnamese from time to time too. The food. Having lived in the Philippines for eight years, I felt that it was my home, so I miss my friends and my city there. Other things I miss are the holidays, celebrations, and fiestas. For me, the quality of life – even with small amount of money, you can enjoy and relieve your stress. There are bigger opportunities here, too. I get to work with different nationalities. I also get to keep a balance between being a worker and being a tourist here because whenever I go to District 1 I still feel like I am a tourist. Tip/s: Take it slow. 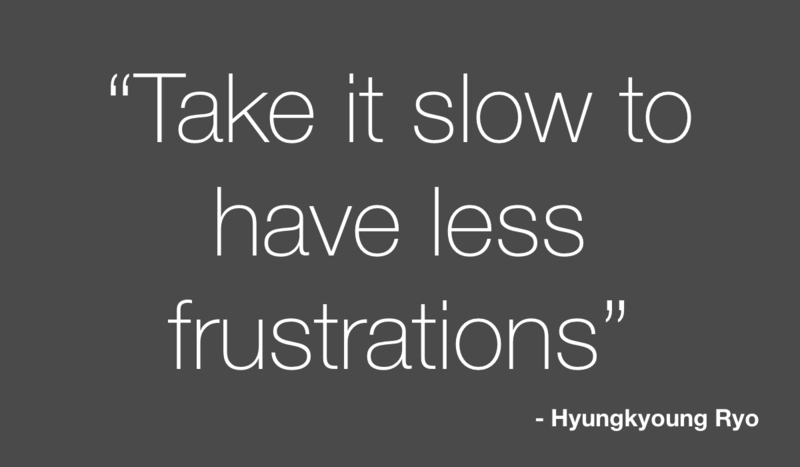 Some people are always in a hurry, but the more you want to get things faster, the more frustrations you get. Jeongseok has lived in Vietnam for around seven years. His decision to move to Vietnam wasn’t his decision, but by a job opportunity for his father. For a student, it might have been difficult to adjust to a new country, new school, and new set of friends. But working here has opened a lot of opportunities for him. My family moved here seven years ago because of my father’s job. I studied high school here and in a Vietnamese university. I was just an employee before, but here I was able to have a position, so more responsibilities. The cultural difference was also something that I had to adjust to. Food and my friends. There may be a lot of Korean restaurants here, but the taste is still different. What is the best thing about working in Vietnam? It depends on the company, but I like the working environment here. Tip/s: Be reasonable. 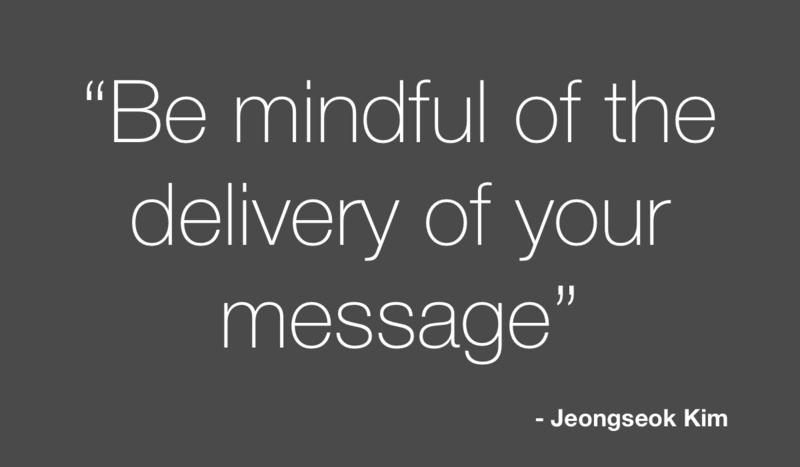 Learn to deliver your messages or opinion better to avoid misunderstanding or miscommunication. There are many reasons why people decide to work in a new country. For Roel, it’s love. It may sound so idealistic, but that was his reality. He decided to work in Vietnam to be with his then-girlfriend, which worked out well because they are now married and are still building their careers in Saigon. Why did you choose to work in Vietnam? I wanted to be with my then-girlfriend, now my wife. No, it wasn’t. It was supposed to be just a couple of weeks of vacation, but my girlfriend asked me if I could try to look for a job here so we can be together. Cultural Difference. But it is good to have an understanding of another country’s culture, customs, and especially to mingle with the locals here. Social gatherings and the malls. Being with my wife, and the low cost of living. Tip/s: Know how to ride a motorbike! It makes your life easier. 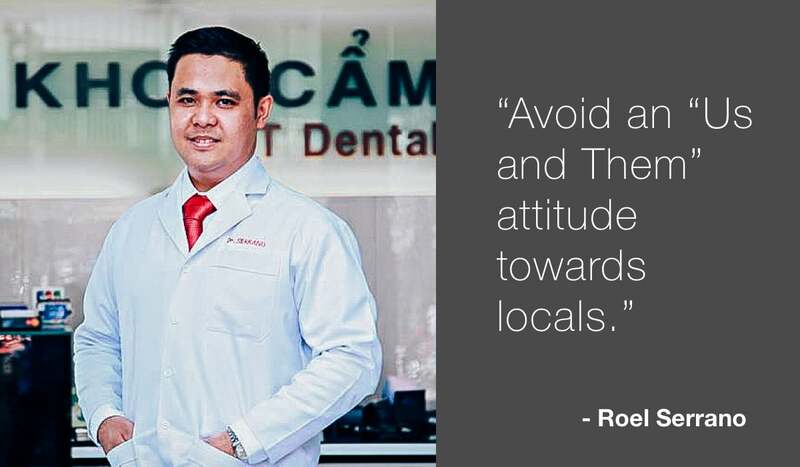 Avoid an “Us and Them” attitude toward Vietnamese people. The sooner you realize that it’s just “Us” you’ll have a smoother and much more enjoyable work experience. The shift from Korea to Vietnam might have been drastic when it comes to the weather, but the transition also opened a lot of opportunities for Adina. 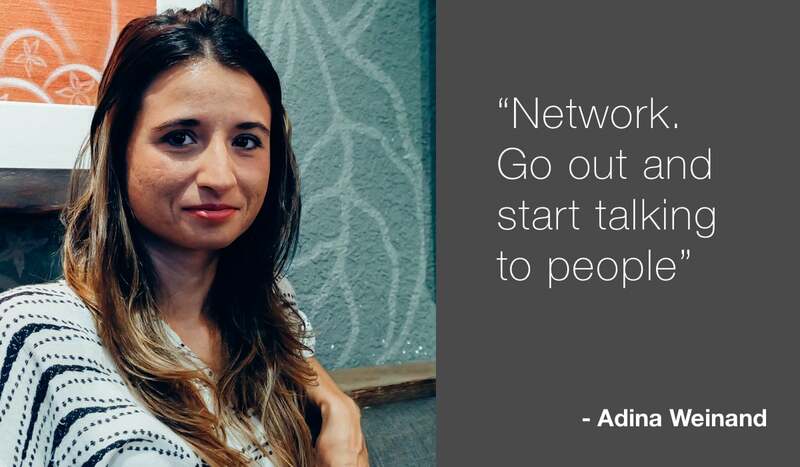 As an artist, Adina relies on inspiration and sturdy support from positive and like-minded people. And with her years of stay here, she has found people of different nationalities and backgrounds as part of her support group, and her travels as her sources of inspiration for her works. I wanted to go somewhere tropical and rich in culture. Vietnam offers so much. I came here looking for a different weather, cultural differences, old things to explore, and travel a bit more. It was something that I was thinking about for quite a while. When I originally left the states I lived in Hawaii for a few months. I lived off of a farm – I loved this tropical environment and the weather. A lot of things there inspired me to end up in a place that was similar – the overall vibe of a tropical environment. Ho Chi Minh is bigger and has more things going on, but there are a lot of places in Vietnam that I find similar to my situation in Hawaii. I like that you can be in Ho Chi Minh City and just drive a few hours to the beach or be at these beautiful lush green terraces and villages – I crave that once in awhile. I also like the very supportive entrepreneurial and artistic environments. Everybody is interested in helping each other out. It’s also where you can get your resources easily. I don’t feel like adjusting to Vietnam was difficult at all. When I came here, it was a breath of fresh air. I’ve always been very happy here. But maybe the traffic was a little bit difficult to adjust to. My family and circle of friends – my support system. Tip/s: Time management. It’s important to prioritize time and to make the most of it. Network. There are so many networking events, or even just hanging out at places where there is a diverse group of people. Get out and start talking to people because there is such an interesting and diverse group of people here, who are all supportive. Yoga was quite popular in Vietnam when Dr. Chandra first moved. People practiced it, but only a few really understood it’s purpose and what it does to the body and mind. 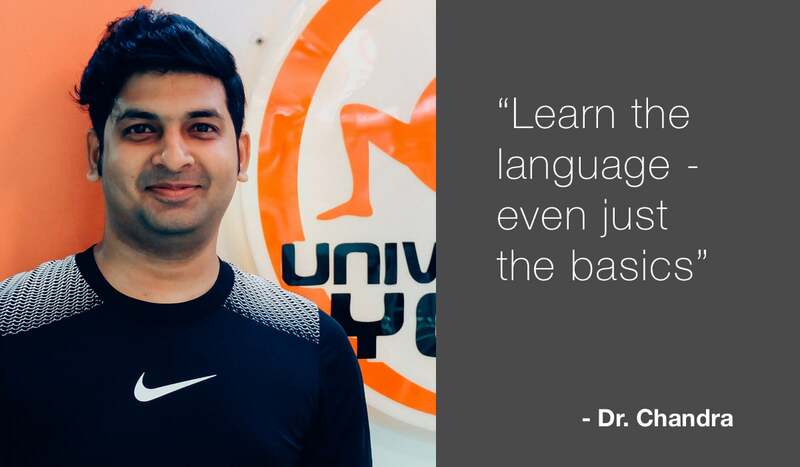 Opening his own yoga centers wasn’t easy at first; good thing education and health businesses here in Vietnam are well-supported that he was soon able to adjust and enjoy his work-life balance. I was asked by my former company in Hong Kong to manage some gyms they’ve established here in Vietnam. It wasn’t planned. I didn’t know anything about Vietnam before. My lifestyle is very different, and the transportation. I didn’t think about driving my own motorcycle here, but I have to. The environment and the easy communication to employees and clients. Life is easier. If you have a business or a job, and everything is going well then I think life is easier. Tip/s: It’s convenient if you can learn Vietnamese language, even just the basics. When you go outside and ask about addresses it will be difficult. 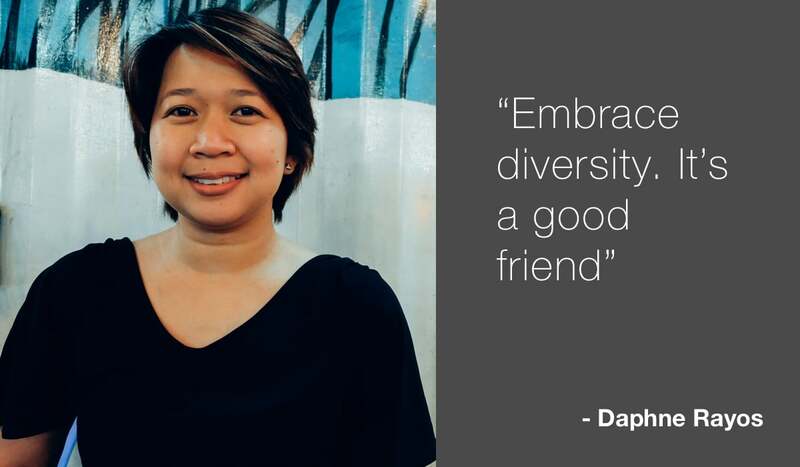 Having a work-life balance is what most workers are looking for, and Daphne was able to find that here in Vietnam. She is able to do her duties as an ESL Instructor, and hone her own skills at well by joining workshops or enrolling in classes she has always been interested in. Working in another country was an unpolished plan. After an opportunity presented itself, the supposed short stay turned into three years. There was a friend who came here first, who told me about the opportunities and encouraged me to try it here. It was a plan, but I thought that if it didn’t work out it’s okay. It wasn’t a serious plan. Not being with my family. I always want to be with them. The food, the weather are the same; perhaps, the amount of motorcycles. The workload was okay because I still have time to do other things that you like. Not being with my family. I always want to be with them; and street food. I also miss the holidays. I get to interact with different nationalities. And work is more laidback. You can learn and relearn about the things you like and the things you can do. Here, I can enroll in classes that I’ve always been interested in while working. Tip/s: Embrace diversity, it’s a good friend. It teaches you how to discover and rediscover yourself, your capabilities, and your abilities. If you’re immersed with different kinds of people with different cultures, your understanding widens. You respect people more. You don’t get to judge so easily. It gives you extra confidence. Some job transitions were planned, while some were made because of unexpected offered opportunities. These expats we’ve talked to do not represent the lives of the expats living/working here in Vietnam; Others opted to move because of the new experience, new environment, warmer weather, more chances of promotion, high salaries, and more opportunities to travel and discover. Some might have similar experiences or completely different. But one common thing among expats is that they have found a home in Vietnam; a place where one can enjoy the busy life in the city, and take a step back and relax in one of the nearby beaches or countrysides, which most workers are longing for – a break from the norm mundanities.